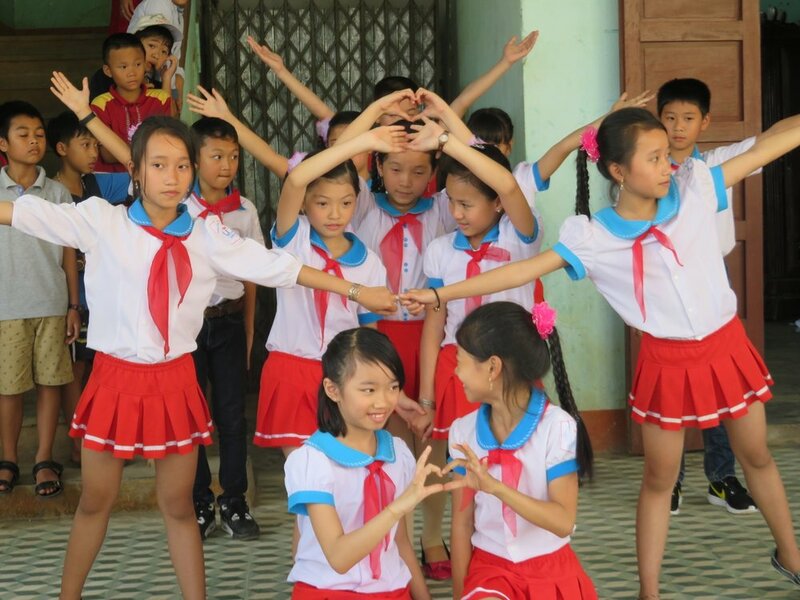 In partnership with Global Community Service Foundation (GCSF), Global Playground built, and works in, a primary school for Van Kieu ethnic minority students in the Quang Tri province of central Vietnam. 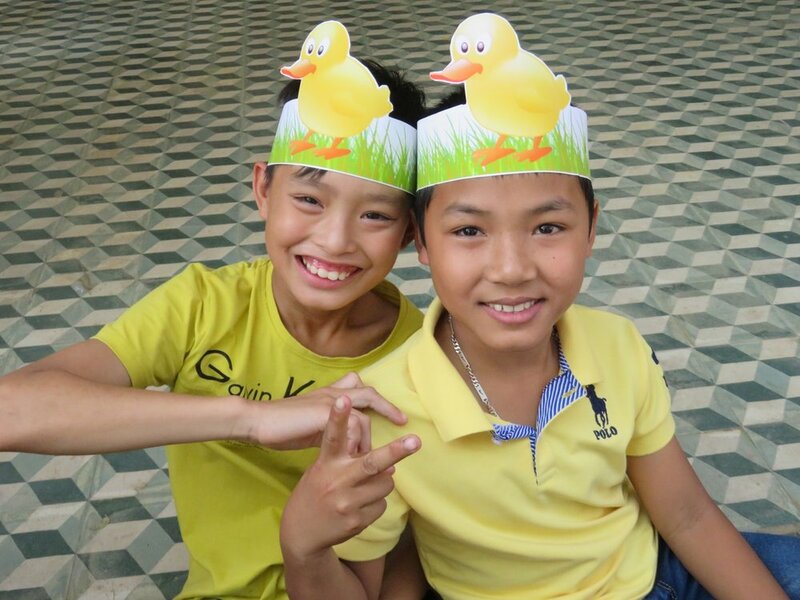 Quang Tri still feels the effects of the Vietnam War, in remnants of Agent Orange and unexploded ordnance, leaving the province the poorest in central Vietnam. GCSF acts as Global Playground’s partner in both Vietnam and Myanmar. The organization encourages communities in Southeast Asia to empower themselves through sustainable healthcare, education, and economic independence with a special focus on Vietnam and Myanmar. Pa Nho Primary School is located just outside of Khe Sanh town, nestled in the mountains between neighboring Laos and the Gulf of Tonkin. 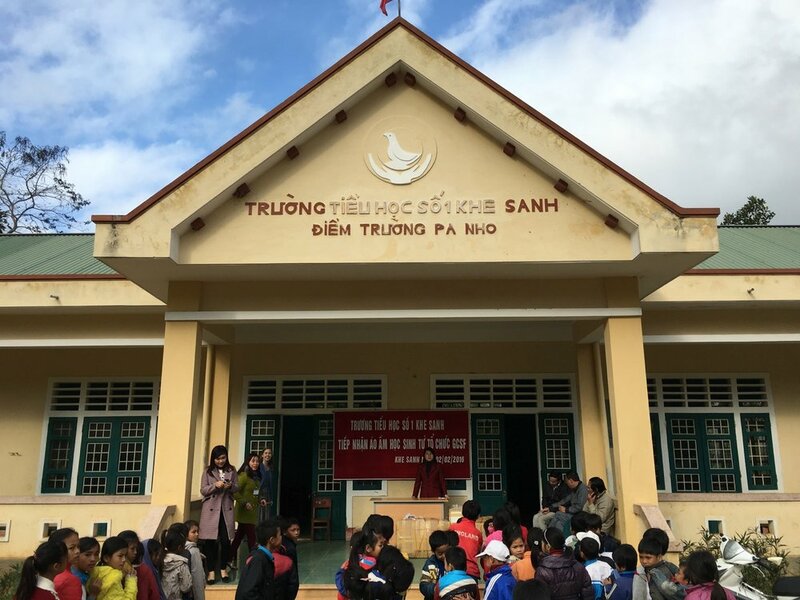 The school is one of many satellite schools outside of Khe Sanh Township, serving Pa Nho village, which is comprised of people from the Pako and Van Kieu ethnic minority groups. Before the school opened in September 2012, children studied in shifts at an unstable, flood-prone school on the edge of an eroding riverbank. Every year at least one major flash flood would damage the school structure and necessitate school breaks for repairs. A total of $46,368 was required to build the school, which now is positioned on higher ground to ensure the nearly 200 students enrolled in Pa Nho Primary School each year have a safe, stable school for years to come. in both Vietnam and Myanmar. children studied in shifts at an unstable, flood-prone school on the edge of an eroding riverbank. each year have a safe, stable school for years to come. 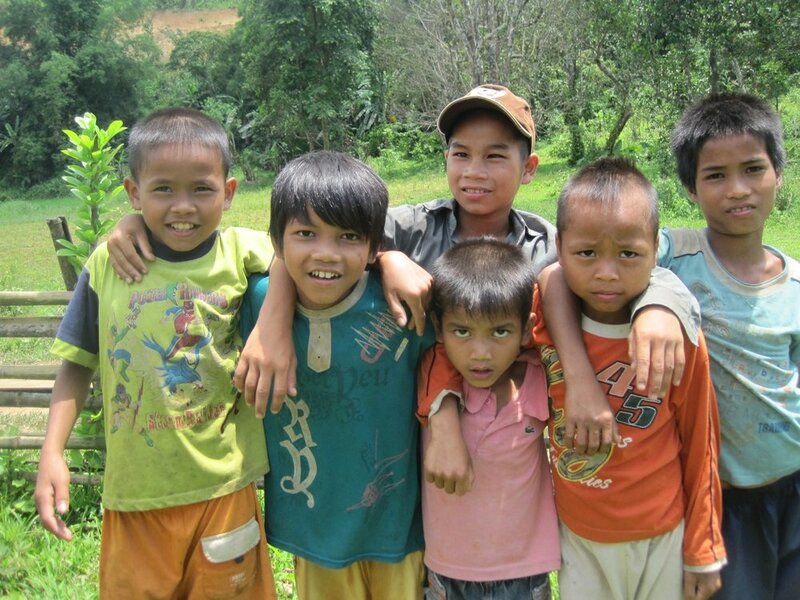 Although Vietnam boasts primary enrollment and literacy rates above 90% for both boys and girls, the ethnic minorities that predominantly live in more isolated mountainous areas do not share these same educational successes. 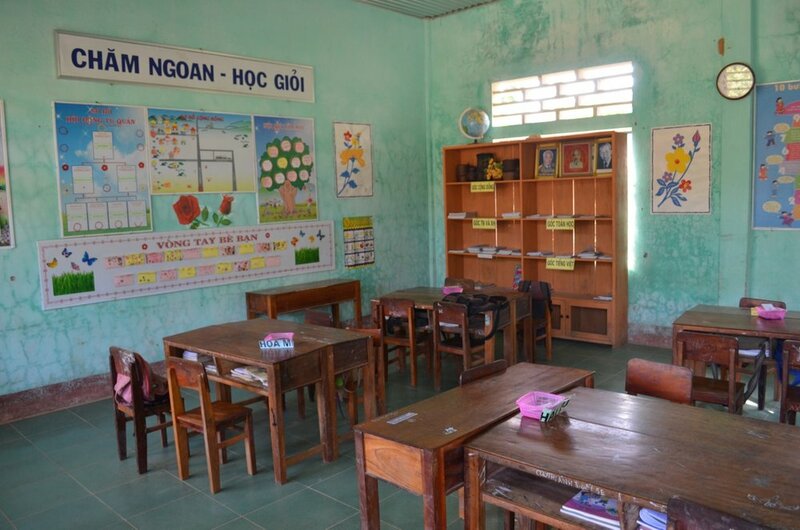 Lack of access to schools and quality education, coupled with poverty that can tempt parents to keep children home to help generate income instead of allowing them to attend school, has resulted in achievement gaps between the Vietnamese and ethnic minorities (1). The Pako and Van Kieu ethnic groups in the Quang Tri area deal with four distinct challenges: (1) the annual floods that destroy houses and force closure of the school; (2) poverty, as many families live on $15 a month or less; (3) unexploded landmines from the Vietnam War that continue to maim and kill villagers plowing fields or children at play; and (4) the remnants of Agent Orange which have resulted in a whole host of health problems (2). The new primary school in Khe Sanh – a famous area known for its battleground during the Vietnam War – will help reduce these challenges. Building on higher ground will help prevent flooding and reduce the associated health risks. The new school will provide education to help reverse the local cycle of poverty, provide safe places to learn and play, and add to Global Playground’s worldwide network of schools where onsite Teaching Fellows will continue to facilitate global cross-cultural dialogue. 1. “Education in Vietnam: Very Good on Paper.” The Economist. December 12, 2013. 2. “Education in Vietnam.” World Bank: 1-39. Vietnam is one of the most populated countries in the world, with a population of over 85 million.